You have got two or a new iPad, right? That is amazing! It provides you the flexibility you need to get some tasks done. Now, you face a problem. Moving all your saved data from one iPad to another may be difficult than expected. We can easily solve this problem with TunesMate. iMyFone TunesMate is a data transfer enabler, built purposely for all iOS devices. With just a click, you can transfer data from iPad to iPad under a minute, and even to multiple iPad at the same time. The best part is that you will not need your iOS details like a password to transfer your data to iPad. Let us look more at some useful features of TunesMate. is a brilliant third-party alternative for iTunes, for Mac and Windows users with iPhones, iPads and iPods. It has been designed by iMyFone and allows you to transfer pictures, music, videos and different types of files from your iPhone to your computer. TunesMate will help transfer data between your iPad and another iPad. You can transfer between your other iDevices like iPod, iPhone, and Mac as well. Carrying out data transfer on all your devices and PC also come with no limit whatsoever. TunesMate allows you to preview all your data on iPad and select which need to be transferred to another iPad. 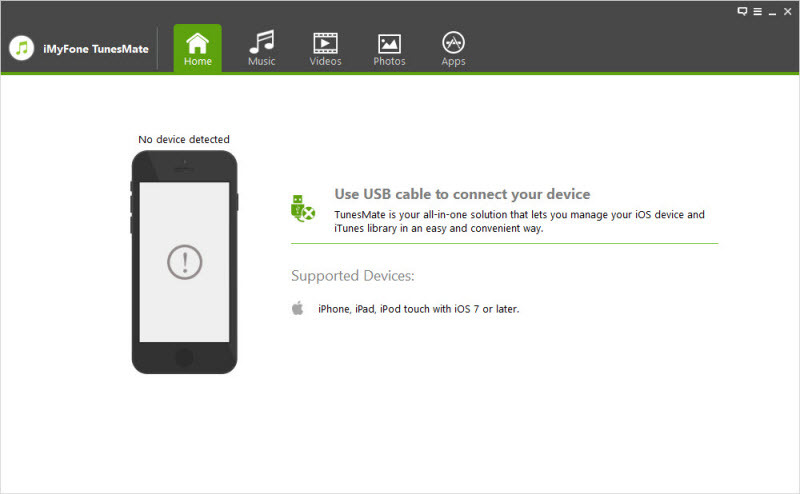 In the process of transferring data between your iPad, TunesMate will ensure that you experience no data loss. All data will be accurately transferred to the intended iPad. This is the main benefit of TunesMate which all Apple’s device users will love. You can use TunesMate to easily bypass iTunes and transfer data you want. No ID or password requirement. Download and run TunesMate, connect your first iPad to your computer. 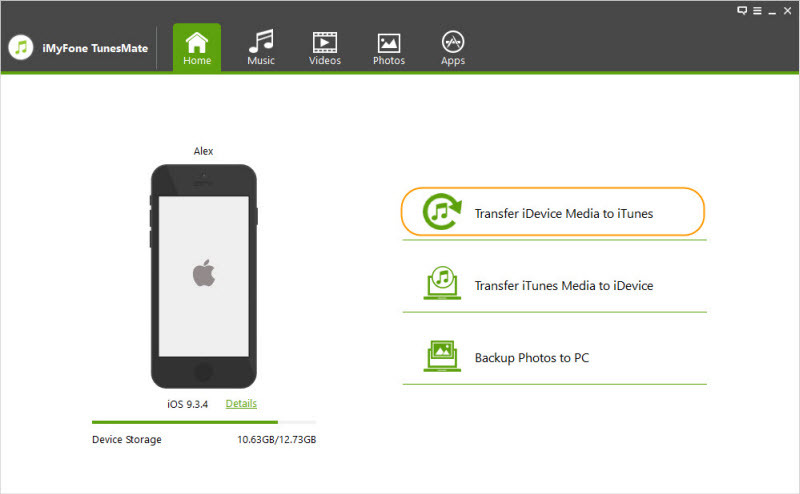 Export files by click "Transfer iDevice media to iTunes" and choose the file types you want to transfer. After exporting, connect the other iPad to your computer. 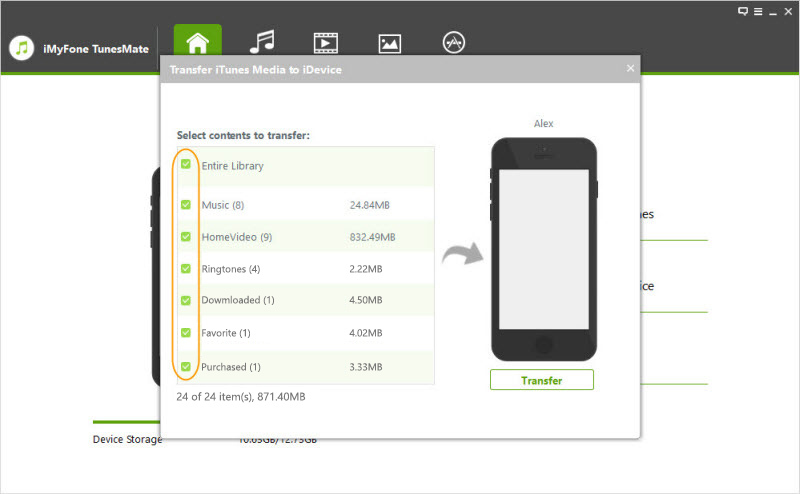 To import data by clicking “Transfer iTunes to iDevice media”, then choose the files you want to import. The above simple click steps will help you transfer between iPad and iPad without using a password. But, there are also other methods to transfer data between iPad. You can use another method to transfer iPad data using iTunes. However, before you begin the transfer, there is the need to disconnect your Apple watch from your iPad if you had previously attached one. If you disconnect or unpair, your Apple watch will be backup automatically. When next you connect your Watch to another device, your data will show up. Below are the steps to take to transfer iPad data with iTunes. Open iTunes, connect your old iPad to PC. Click the iPad icon in iTunes, then click “Back Up Now. Wait a few minutes for the backup and connect your new iPad. 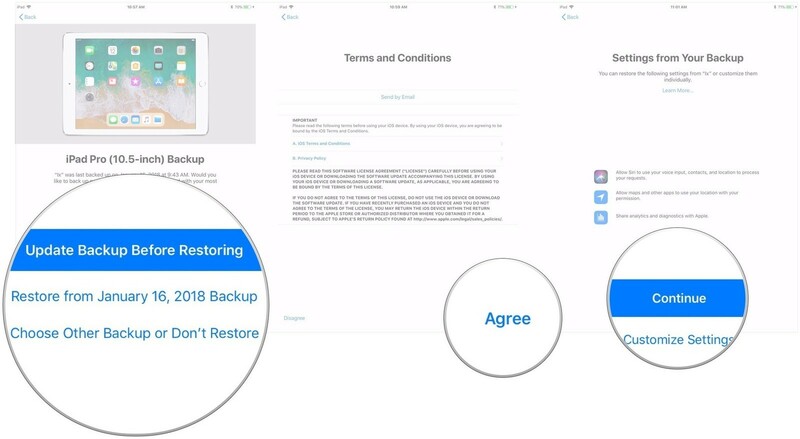 Click the iPad icon, then click “Restore from this backup”. Select the backup you want to restore and click “Continue” both on iTunes and on iPad. In a few minutes, iTunes will restore your new iPad from your iTunes old backup. You may also want to transfer your data to iPad using iCloud. To use iCloud, you must have previously backed up your data to iCloud. If you had done so, the following steps will guide you. Go to Settings>iCloud ID>iCloud on your old iPad. Select iCloud Bakcup>Back Up Now. Then open your new iPad to restore the backup. In activation process, choose Restore from iCloud Backup. Sign in your Apple ID and choose a most recent date backup when prompted. Let the iPad remain connected to Wifi to complete the transfer. To sum up, you can transfer data from iPad to iPad by using iTunes and iCloud. But iTunes usually backup and restore unsuccessfully due to various errors and iCloud need to pay extra when the iCloud storage is beyond 5GB. 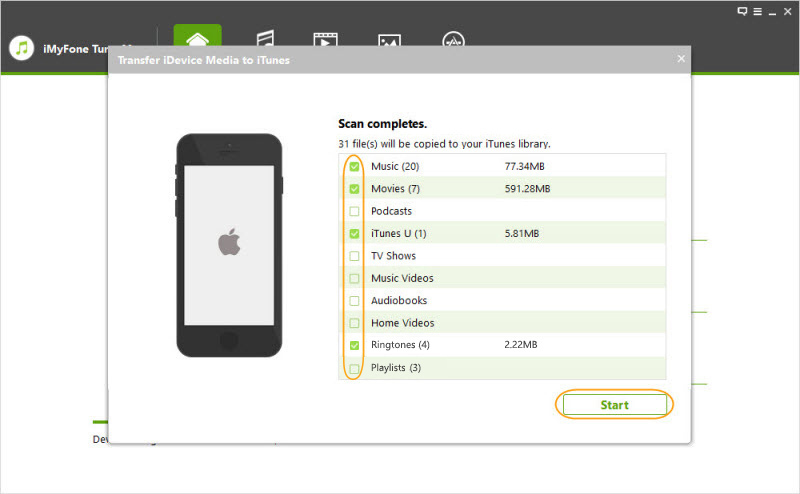 TunesMate can easily bypass all these issues and you even don’t need to open iTunes during transferring. No matter how much your backup storage is and how many devices you want to transfer with, it will help you solve them with only one click.